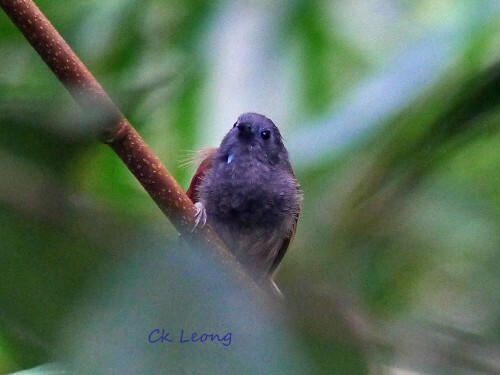 The Chestnut-winged Babbler Stachyris erythroptera is probably the most common babbler in Borneo. 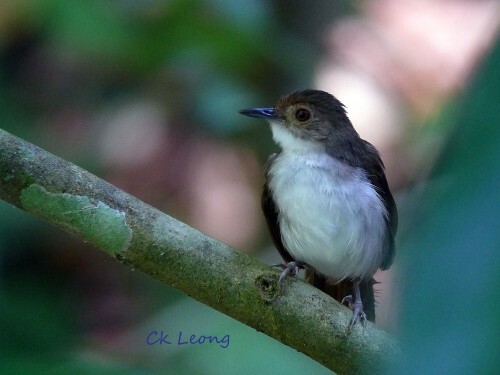 It moves around in small groups in both primary and secondary lowland forest with a preference for the lower canopy. Individuals keep in touch by their soft rolling calls while moving through the vegetation.